If this doesn’t qualify as the junk food trifecta, I’m really not sure what will. But I promise it’s awesome! I first saw this on a Travel Channel Show. Those shows make me so hungry. On pizza travel day it was especially bad. I wasted no time pulling some pizza dough out of fridge for this deliciously disgusting junk food pie! And it took even less convincing to get my husband to run to the store for tater tots and pepperoni. So good…Junk food on top of junk food, on top of junk food, covered in cheese. I recommend pairing this dish with Sam Adams Octoberfest Beer. I’m about to give you links to a few recipes for sauce, dough and chili but if you don’t feel like making everything from scratch, your local mega mart sells pre-made dough, cans of chili and pizza sauce. Or, if you really don’t want to even go that far, just buy a freezer pepperoni pizza and proceed accordingly. Cook tater tots according to package instructions. With a griddle, pizza stone or other pan on the bottom rack of the oven, increase oven heat to 450 degrees. Roll pizza dough into a round. Dust pizza peel or pan with no lip with a little corn meal (this will act of a sort of ball bearing for the dough to slide on). 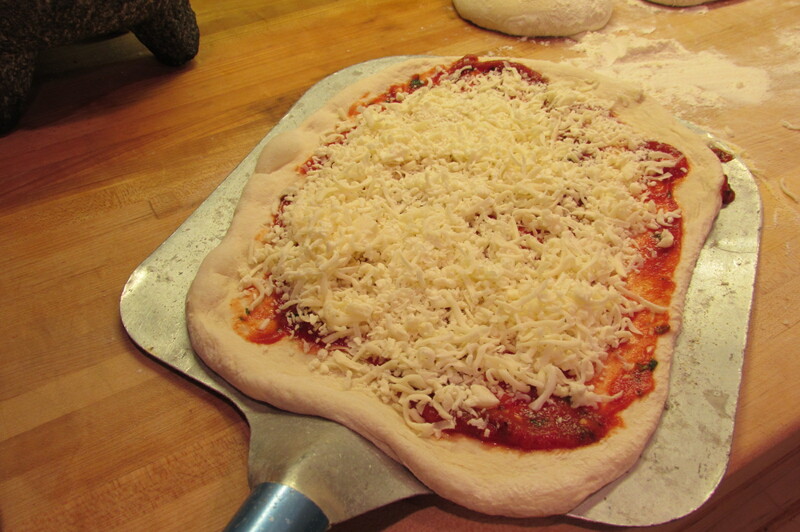 Place dough on corn meal, top with sauce, mozzarella cheese and pepperoni. Slide pizza onto hot pan/griddle/stone. Cook for around 12 minutes or until done. Remove from oven. 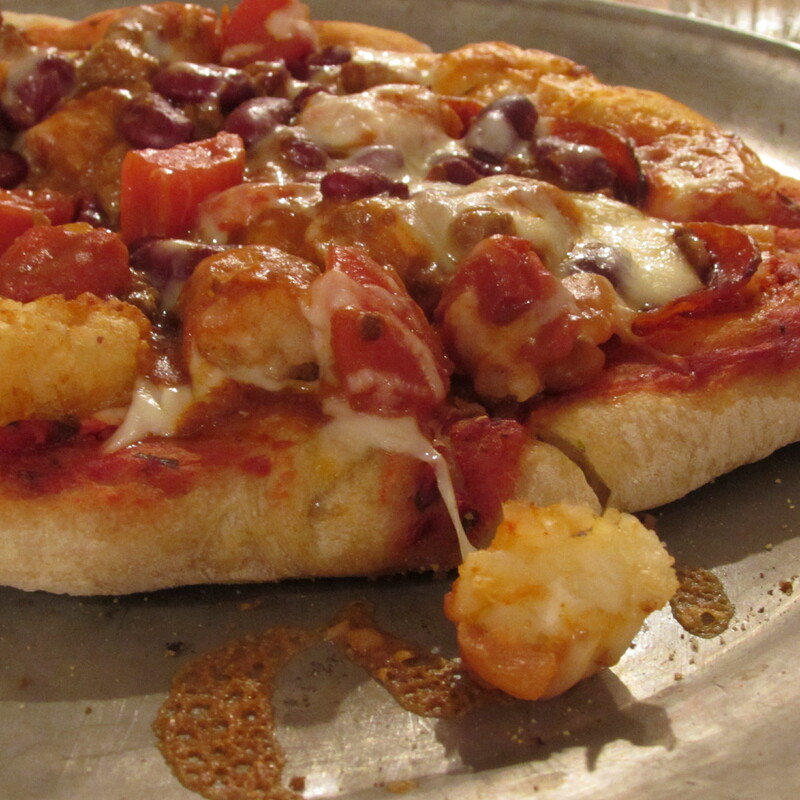 Top pizza with tater tots, chili and remaining cheese. Return to oven and cook until cheese is melted. Remove, cut, cool (optional) and grub! 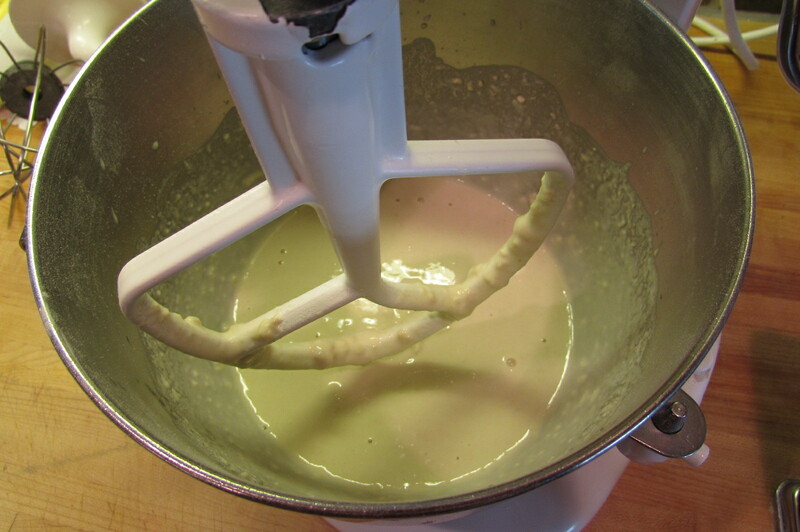 Using a paddle attachment on stand mixer at low speed, combine gluten flour, salt, yeast, water and 1 ¼ cup (6.5 ounces) flour until thoroughly combined (2-3 minutes). Mixture will look lumpy. Let mixture rest about 10 minutes. Switch to dough hook and knead in remaining 1 1/2 cup (8.5 oz) all purpose flour. Let knead on low speed 6-10 minutes or until dough comes together and starts creeping up the dough hook. The dough will be sticky. Tuck and roll into a ball and place into the bowl. Cover bowl with a towel and let rest and rise in a warm place for around one hour. If not using the dough right away, place into a Ziploc bag and store in the refrigerator. 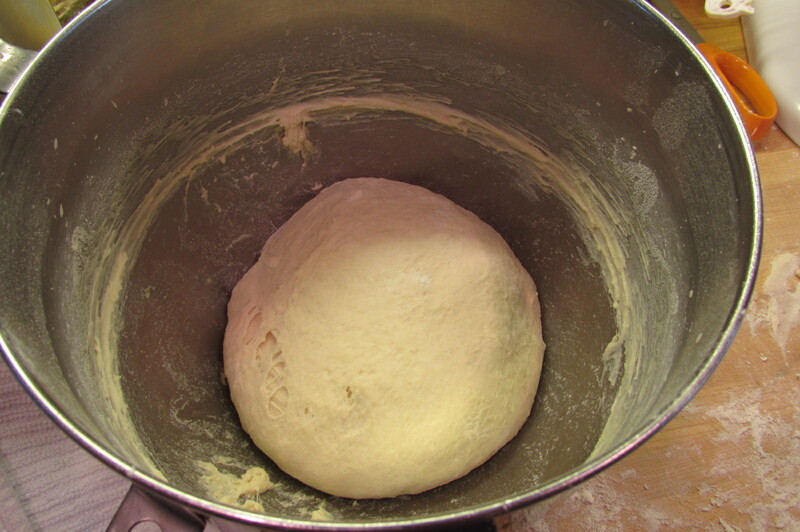 (This dough is actually better after a day or so in the refrigerator.) Dough keeps well in fridge or freezer indefinitely. Make sure to proof your dough until room temperature before using. 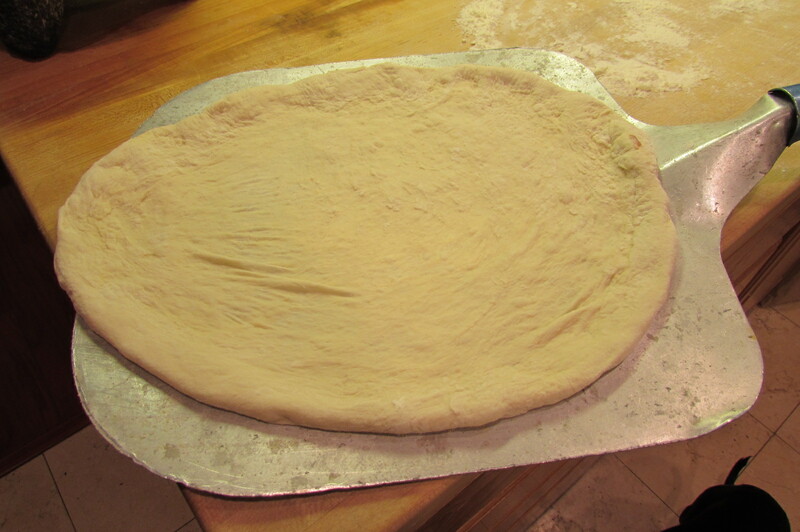 Using your hands, stretch dough until very thin – almost see-through in the middle. 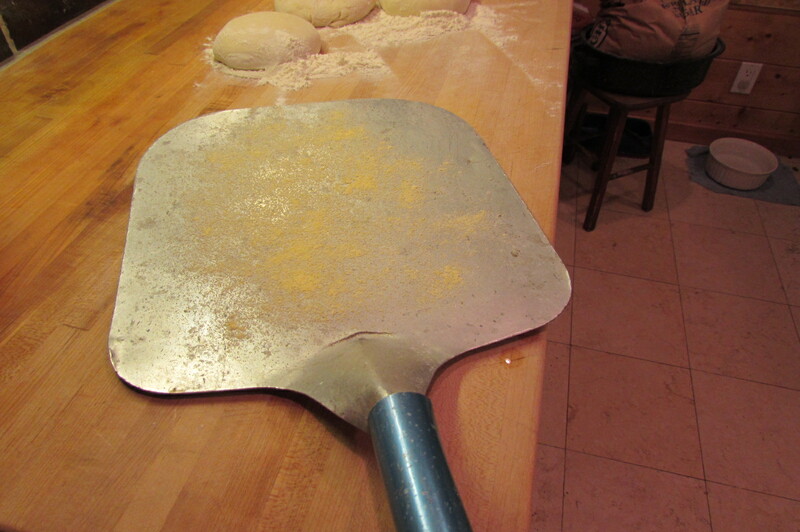 Sprinkle a pizza peel (I inherited this awesome peel from Great Uncle Earl) or pizza pan with a little corn meal. The corn meal will act as ball bearings between the pizza peel and dough when you slide your pizza onto your pizza stone or hot pan. 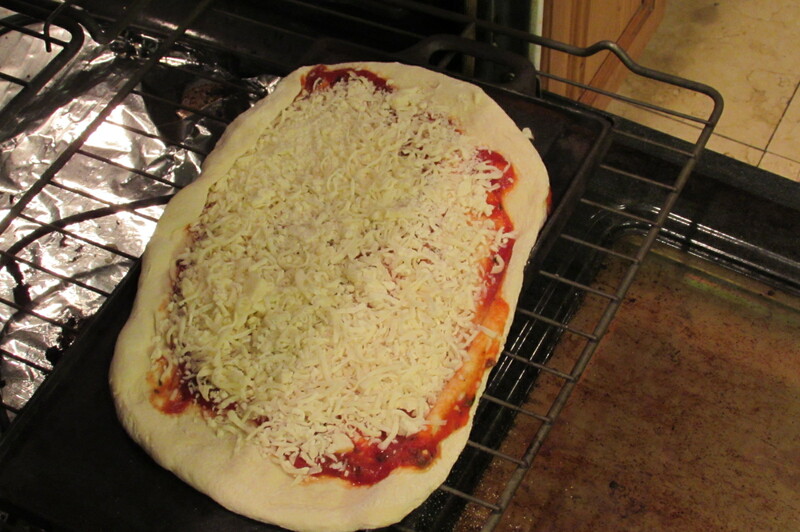 Place pizza on peel or pan with no sides, top with sauce, cheese and desired toppings. 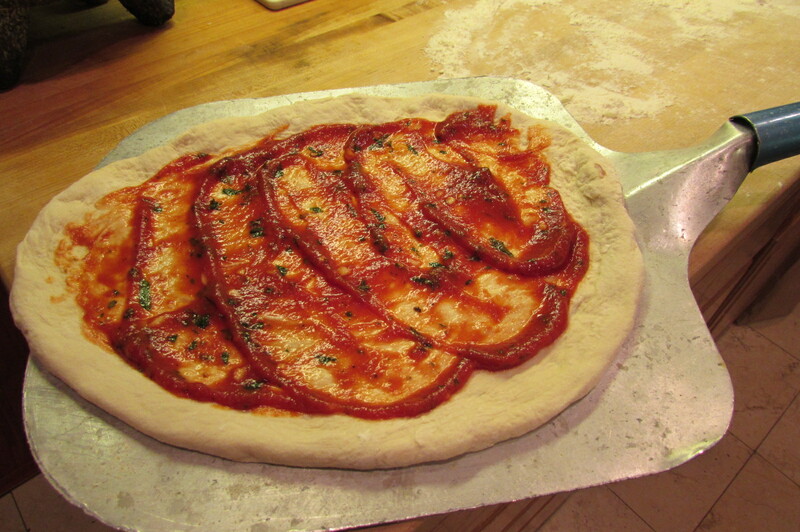 Carefully slide pizza onto pizza stone or pan. Cook for 12-15 minutes (longer if using more toppings). 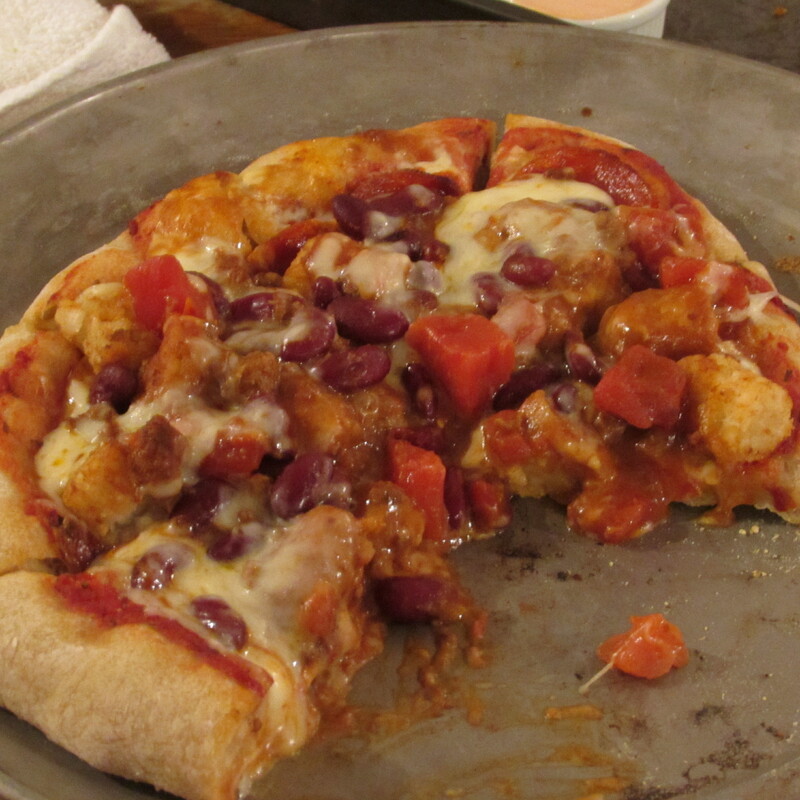 Tags: chili cheese tater tot pepperoni pizza, food, junk food, Neapolitan style pizza crust recipe, pizza sauce, togo's chili cheater recipe, with images. Bookmark the permalink. Yum!! Junk food, but tasty junk food!